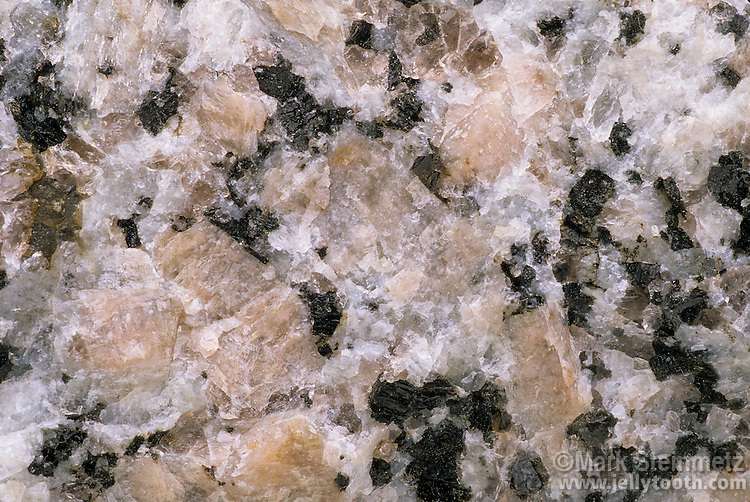 Close-up of granite, showing its coarse-grained structure. Granites vary in composition, but always consist of the minerals feldspar and quartz, and usually mica and hornblende. 1x magnification at 35mm.